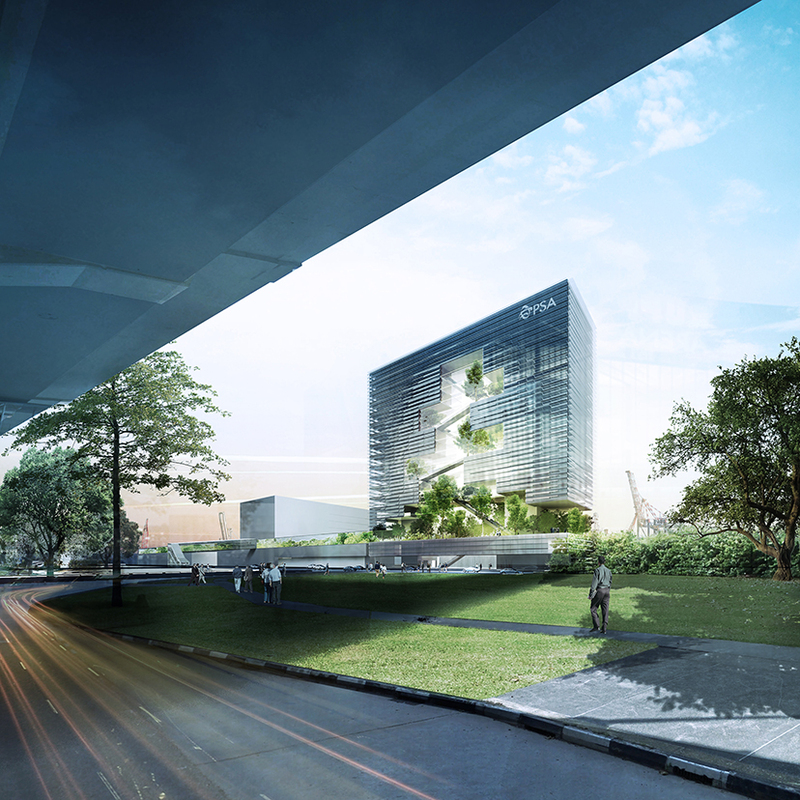 Can you imagine a building where people and spaces are all connected by nature? The Hive does just that. 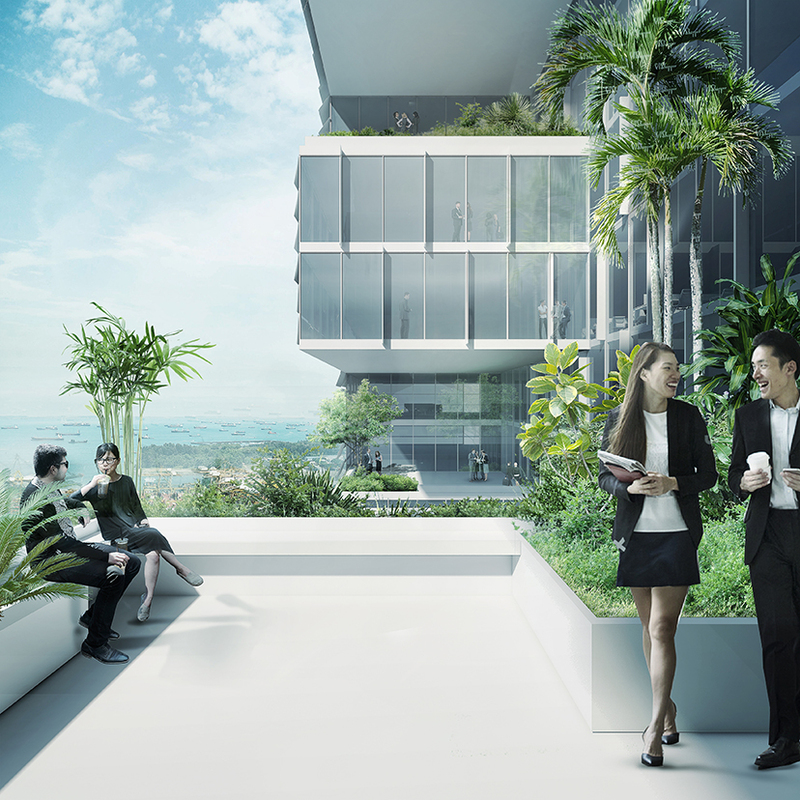 The competition entry imagines the future iconic PSA Headquarters redefining the Singaporean skyline, and is a role model for an integrated Liveable City development; harnessing the ideals of Work, Learn and Play. Public transport, local car parks and adjacent facilities are interconnected with The Hive; a network of specific programs and activities that interplay, creating strong relationships and memorable walks through experiences. A journey of discovery begins with a heightened sense of arrival. The human-nature relationship is nurtured by the continuous “green” features of the waterfall, mangrove forest and hanging gardens. The biomimicry designs are evident in all aspects and this creates a strong ecological attachment to the building for visitors and users. The carefully carved tropical atrium employs initiatives that are aligned to the Green Mark Platinum standards; promoting a positive environmental impact and reducing the carbon footprint. The themes of Work, Learn and Play are organised around the tropical atrium, this pivotal design is a social connecter, enjoying beautiful community spaces. Social sustainability is beneficial to the ambiance of the development. Breaking through typical corporate expectations, the building focuses on the human-scale and links areas by mechanical staircases. 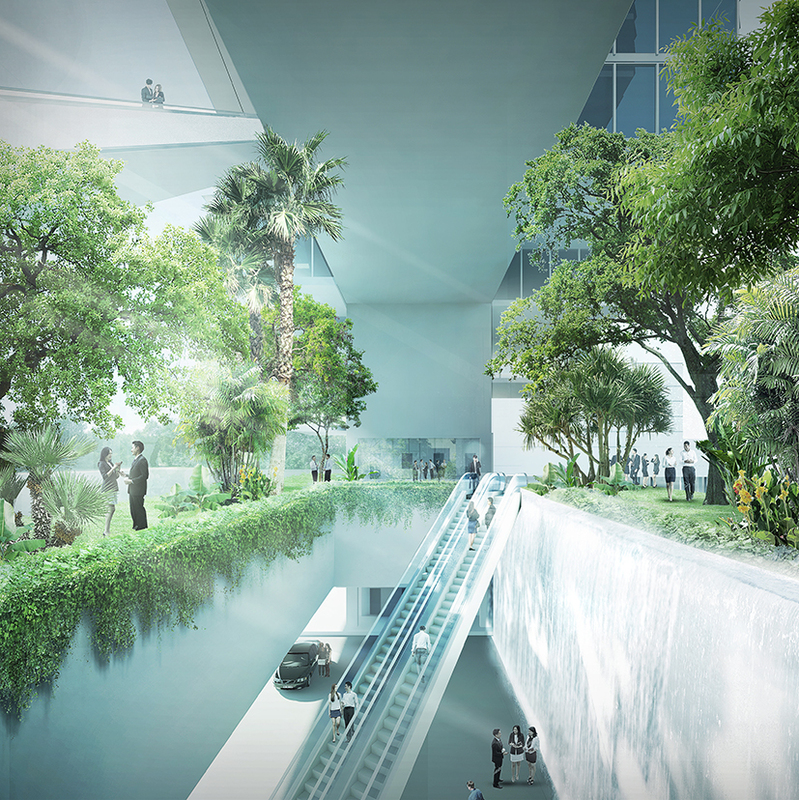 These pedestrian promenades allow multiple visual treats and interlink play spaces on each floor integrated into hanging gardens. The building’s high-quality infrastructure and architecture is exemplified by orientation and form; minimising east and west facades, improving daylight capacity, reducing artificial lighting needs and increasing comfort for users for the offices. Combining smart features and technologies, the building provides intelligent and efficient operations that harness natural resources and eco-friendly materials. The efficient building form has no wastage of space as column free spaces maximise flexibility for optimal use. The Hive is a development with a soul, incorporating Work, Learn and Play into a holistic lifestyle that creates memorable experiences and forges a strong identity for the PSA.